Universities remain places where knowledge is “locked up” behind seminar doors, tuition fees, and paid firewalls “guarding” journal articles. Knowledge emerging from and produced through activism is often undervalued and overlooked by the academy. The neoliberal, managerial ways of the university reward researchers for academic publications and self-promotion, rather than long-term, relationship-based, collaborative work. Aziz argues for research that is grounded in relationships of trust and struggle that reject the binary between the university and the outside world. 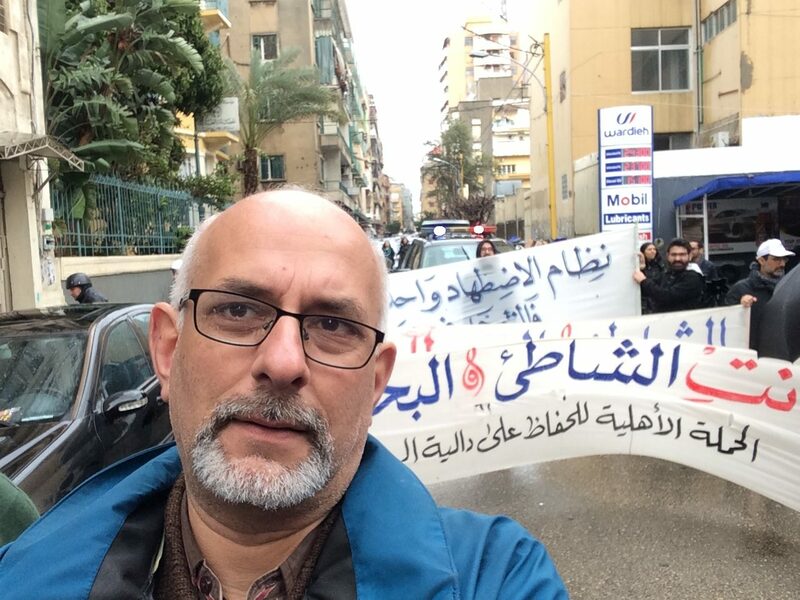 His work focuses on engaging with learning and knowledge produced through activism and social movements. He highlights how scholarship, such as much anti-colonial Marxist and feminist theorizing, emerges from activist thinking and movements. Against the compartmentalization of issues that form unproductive activist and disciplinary boundaries, we must ask ourselves “how the dots got disconnected in the first place”. Understanding and (re)learning the histories of movements and how certain issues have become disconnected can further reveal how academia has influenced activism and vice versa. Ultimately, Aziz argues that our roles as activists and researchers ought to be understood as porous and interconnected. Along with the contradictions of working in the university, there are challenges with movement organizing. It is often difficult for activists to step back from organizing and reflect on their own practices or self-critique, due to the lack of time and ongoing pressures. While activists may produce important knowledge within their movements, pulling back from the day-to-day demands of activism can provide space to think through challenges, questions, and tensions. Making visible and valuing activism within research and at the university also challenges these systems. Conversations amongst scholars and activists can lead to collaborative work, which writes back to and challenges dominant strains of theorizing in academia and incomplete ideas about movements. One of the reasons Aziz has published several edited books is that they bring activists into conversation with engaged academics, enabling them to document their own work and be in conversation with other movements in different contexts. 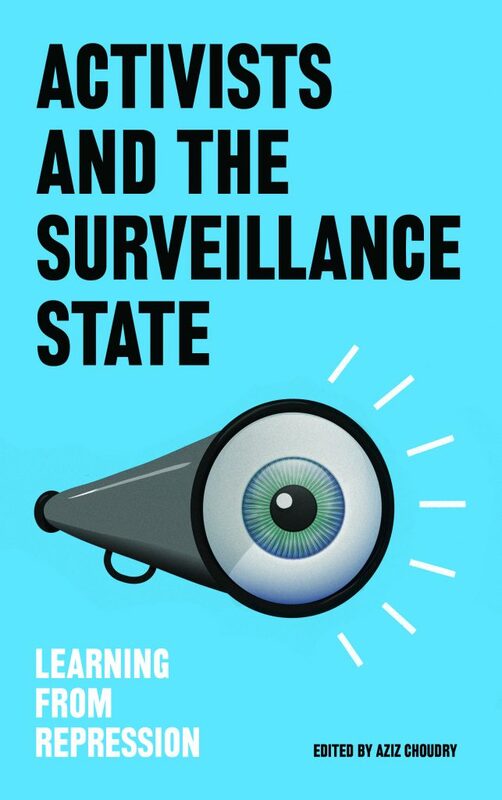 Aziz’s next edited book, Activists and the Surveillance State: Learning from Repression, will centre activists’ learnings from struggles against state surveillance and repression. Aziz clearly believes in learning critically through research, political education, and action. He is committed to research that can be useful for social movements rather than “dropping knowledge” onto these movements. He reflected on the power of ideas found at the margins and the importance of documenting the hidden histories of struggles and radical ideas. Too often, social movement scholarship has overlooked or whitewashed these stories and romanticized them by focusing on their successes and “great leaders”, what some people refer to as the “liberal imaginations” of liberation movements. These studies have been criticized for misrepresenting, objectifying, and being irrelevant to movements, while ignoring how social change emerges from collective struggles. Activism and research continue to be contested terrains of power, yet these “uncomfortable conversations” raise questions about the politics of knowledge production and how to do research collaboratively. Finally, I asked Aziz about his thoughts on key changes for migration issues in Canada. His response was to listen to the demands emerging from social movements. For example, migrant workers have been struggling to realize demands such as status upon arrival and to resist the state’s efforts to divide workers against each other. Additionally, Canada’s hyper-exploitation of migrant workers takes place in a settler colonial context where colonization continues to define the relationship with Indigenous peoples. Aziz believes collective organizing and popular struggles can bring about social change, and research can play a role in this process. His advice for students is to pursue their intellectual curiosity and engagement, by using academic programs as spaces to reflect on ideas and concepts, as well as to foster and value long-term relationships with communities and organizations struggling for change. Most importantly, as students and researchers, we must ask ourselves why we do research, what it is for, and who benefits. Having a sense of humility and being critically self-reflective in our work is essential.